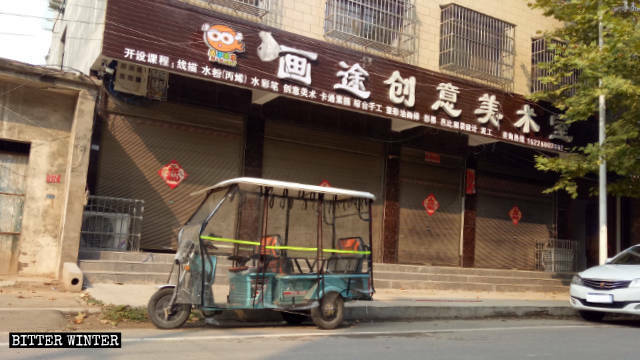 Christianity has taken a massive hit in Henan. Not only nearly 7,000 crosses have been recently dismantled, but church and meeting venues of all sizes were sealed off or demolished. 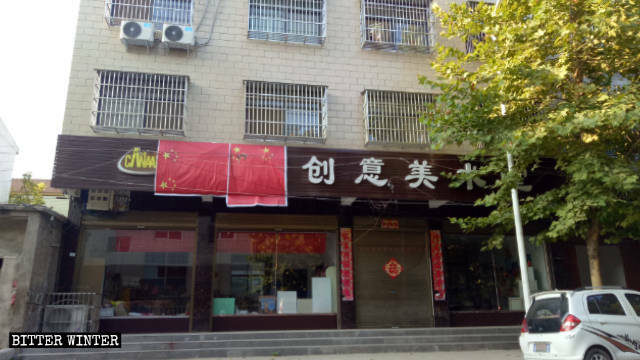 The Chinese Communist Party is also focusing on shops and businesses. 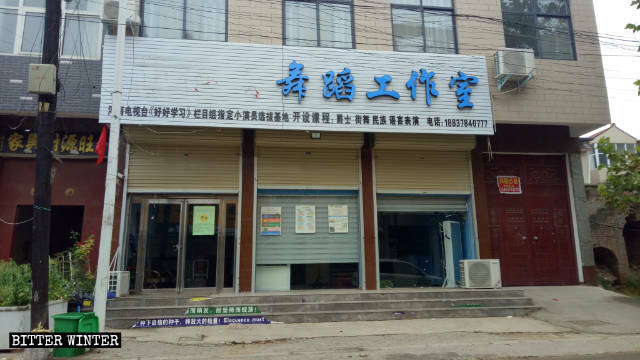 The signboard of “Canaan Creative Art Studio” before being dismantled. 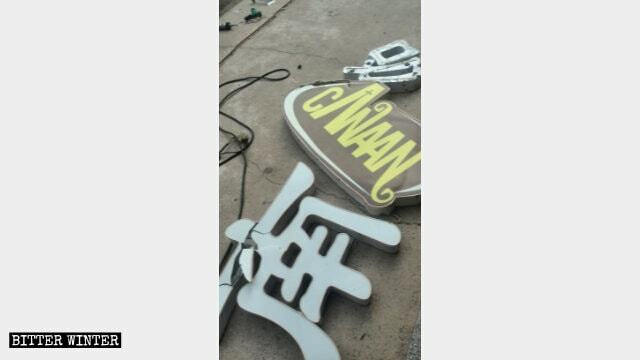 The two Chinese characters for “Canaan” have been dismantled from the “Canaan Creative Art Studio” signboard and discarded on the ground. 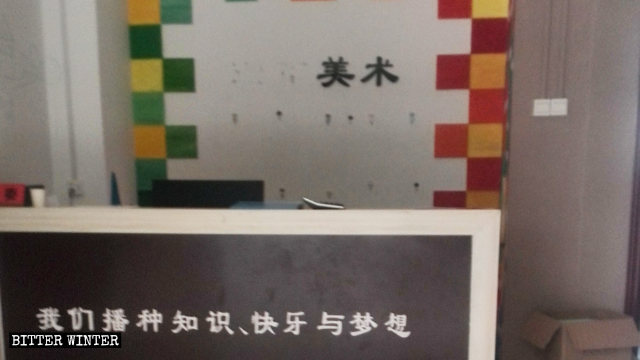 The indoor signboard before the two Chinese characters for “Canaan” were removed. 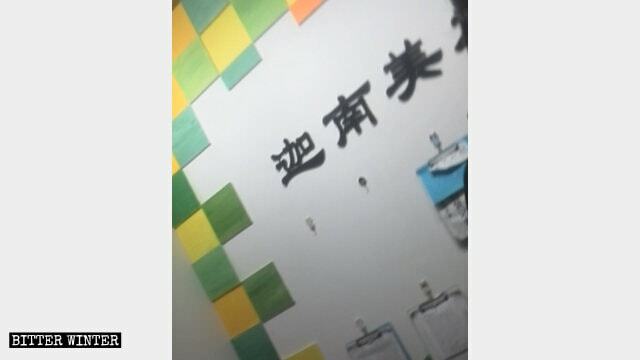 The signboard after the characters for “Canaan” were removed. The two characters for “Canaan” are concealed by two red flags. 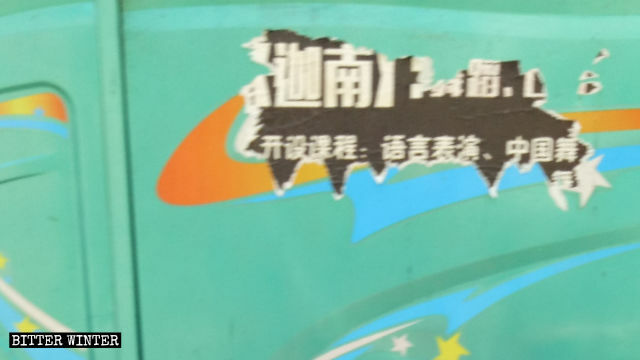 Advertisements for “Canaan Creative Art Studio” on streetcars were also torn off. The advertisements for “Canaan Creative Art Studio” on streetcars were torn off. “This isn’t only happening in the city. It’s the same in villages. 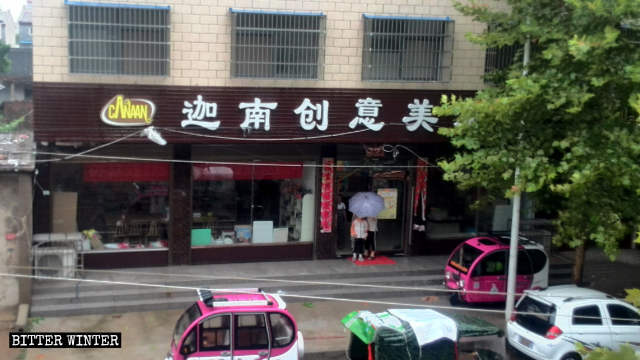 Any phrases with religious connotations cannot be used, regardless of whether it’s English words or Chinese characters,” one nearby resident said.